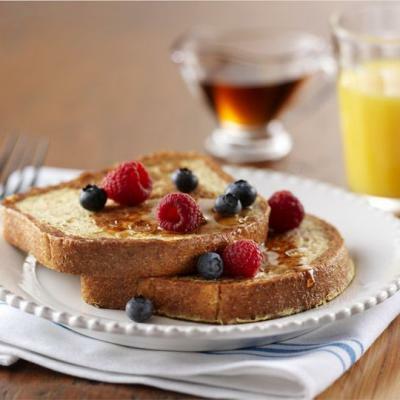 Looking for a make-ahead weekday breakfast meal for the family? 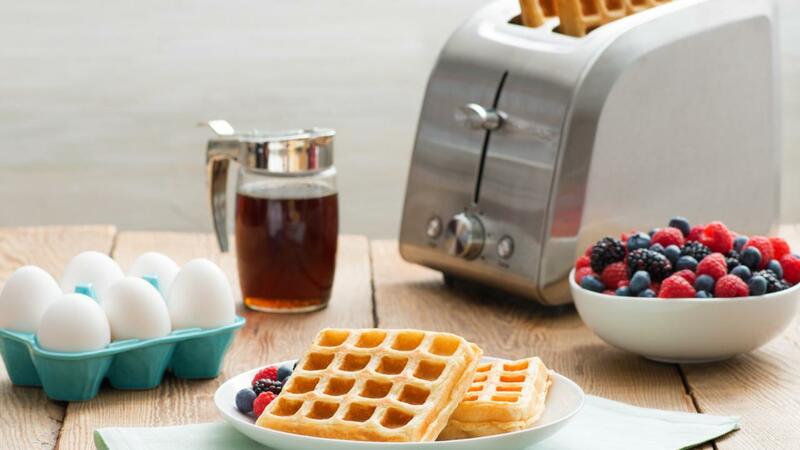 Make your own frozen toaster waffles, the kids will love them! Whisk together flour, sugar, baking powder, baking soda, salt and nutmeg; set aside. In separate bowl, whisk together buttermilk, eggs and butter; stir into dry mixture until just combined. Let batter rest for 10 minutes before using. Preheat waffle iron according to manufacturer’s instructions. Ladle 1/2 cup (125 mL) batter into waffle iron to cover about two-thirds of the grid surface. Close lid; cook for 4 to 5 minutes or until steam stops emerging from the waffle iron and waffles are golden brown and crisp. Cool completely and freeze waffles on large baking sheet in single layer. 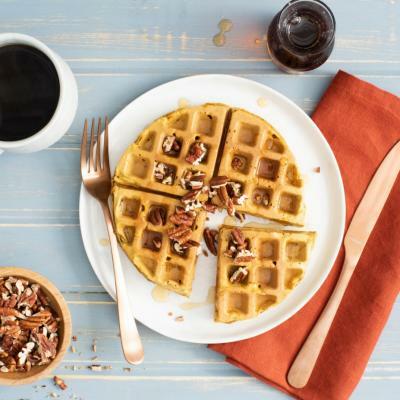 Package in airtight container or in plastic zip-top bag with parchment paper in between waffles, and freeze for up to 2 weeks. 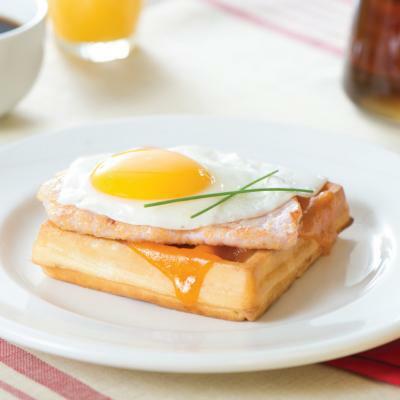 Reheat frozen waffles in toaster or in 400°F (200°C) oven until toasted and heated through. Tip: Serve with maple syrup and your favourite fruit.